Florida law allows those who are injured due to third party negligence to file civil claims against the responsible parties or their insurers. While this allows injured parties to recover compensation for their medical bills, lost wages, and pain and suffering, doing so can be a long and difficult process. In fact, in many cases, it makes more sense for accident victims to enter into negotiations with the other parties and attempt to reach a settlement. While the settlement amount may not be as much as the injured person would have made if he or she had won in court, it also saves everyone involved a significant amount of time and money and is far preferable to recovering nothing if a verdict is returned in favor of the defendant. 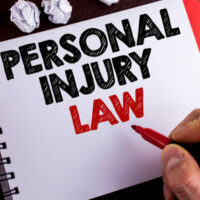 Deciding which course of action is best depends on a person’s specific circumstances, so if you were injured in an accident and are considering filing a civil suit in court, you should strongly consider speaking with a personal injury attorney before going forward. Avoid having their award reduced by the jury or the judge based on contributory negligence. There are also significant advantages to going to court. For instance, some insurers and at-fault parties simply refuse to settle, in which case, injured parties must go to court to ensure that they recover at least a portion of their losses. Similarly, an insurer may refuse to offer a fair settlement, but will instead continually make low ball offers that are unacceptable to the victim, whose medical bills are continuing to pile up. Going to court is one of the best ways to ensure that grossly negligent individuals are held accountable for their actions. There are a number of procedural hurdles that must be met when a plaintiff decides to go to trial, so it is critical for those who are considering filing a civil suit to speak with an attorney before doing so. Similarly, having an experienced legal representative in your corner can go a long way towards ensuring that an injured party receives a fair settlement from the at-fault individual’s insurer. To learn more about the pros and cons of settlement versus going to trial, please contact the dedicated personal injury legal team at Boone & Davis by calling 954-566-9919 today.